iBeacon technology’s application in multiple verticals is reaching new heights as is the number of beacons deployed globally. 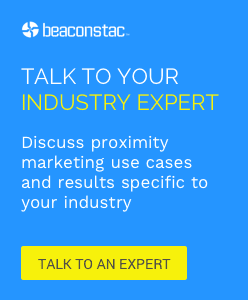 According to reports, 5 million out of 6.2 million proximity sensors deployed globally this year are beacons.This number is on track to reach 8 million beacons by the end of 2016, with a steady growth to 400 million beacons by 2020. One of the primary reasons behind this rise is that beacons are evolving beyond being a mere proximity marketing tool to much more. Beacons are making daily commute easier, paving the way for smart cities, simplifying cumbersome mobile payment processes, and so on. These tiny transmitters are now being deployed widely to provide assistance to both staff and customers wherever possible. In fact, beacons, with their micro-location capabilities can be used to offer great help to a user based on his/her location with regard to an array of things like travel, shopping, parking, choosing a restaurant, and more. In this post, we’ll discuss 4 ways in which beacons are being used to help people in their daily lives. South Korea is eagerly encouraging its residents to have larger families given that the country’s birthrate is one of the lowest birthrates in the world. So, a beacon campaign called the “Pink light Campaign” is being trialed on subways in the city of Busan, South Korea, to combat the risk of miscarriage for pregnant women by offering priority seating on public transport for them via beacons. The campaign consists of two parts. The first is a small beacon that is carried around by pregnant women. The beacon can be easily hung on handbags as is visible in the image below. The second is the light sign that is installed on trains. As soon as a pregnant woman gets on board, the beacon she is carrying, signals the light to flash. The blinking of the pink sensor lets people know that a pregnant lady is aboard and will need a vacant seat. This especially alerts other passengers who might be sitting in the courtesy seat. Once the system detects that the woman is seated, the light switches off. The idea is to help pregnant passengers get seats without having to awkwardly ask – and for non-pregnant passengers to recognise someone is expecting, without having to guess. The system aims to make public transportation easier for pregnant women. Allrecipes, the digital food brand, is installing beacons in 58 Marc’s stores in Ohio to provide customized meal and recipe recommendations to shoppers through the Allrecipes Dinner Spinner app. It, thereby, aims to address two of the major concerns of grocery shoppers — figuring out what to make for dinner and limiting the grocery bill budget. Shoppers need to download the Allrecipes Dinner Spinner app to their iOS or Android devices. Upon entering a grocery store equipped with iBeacon technology, the shopper’s smartphone device receives a signal from the beacon via Bluetooth. Next, the Allrecipes Dinner Spinner app opens on the consumer’s smartphone and delivers recipes based on the individual’s preferences and the grocery store he/she is at. The meal recommendations also depend on the trending meals among local home cooks along with recipes featuring products on sale at that particular Marc’s store. The shopper can then purchase the ingredients while he/she shops in the store using the service. The app further makes the suggestions made to a shopper more relevant by providing meal ideas depending on the season and local weather. The popular MTR Crossrail of London is taking on the initiative to provide services for the Crossrail parts of the capital’s underground railway system. As a part of this initiative, the corporation has currently installed 500 beacons across the 12 TfL Rail outdoor stations and have around 2,500 beacons all set to be rolled out to all MTR Crossrail stations over the next four years. Beacons are helping the corporation address one of the key challenges faced by operators — ensuring staff and passenger safety. The beacon solution is designed to help the rail operations in assigning staff to the right areas, ensuring that stations are clean and that trains are fully operational and are running on time. Additionally, navigation is simplified via a beacon-enabled app as the beacons trigger specific notifications and features in the app, to ensure that the right procedures are being followed. The app also includes the ability for auditors to take photos of any issues and send data back for the right employee to arrange a fix. Currently MTR’s beacon deployment limits the usage of beacons for employees alone. In future, the corporation plans to use the beacon system for messaging apps that would enable tracking of customers travelling from station to station and replace manual ticketing. It would also provide the travelers with travel information. Beacons are being used extensively for inventory management and asset tracking since they offer a number of advantages such as helping in locating critical equipments, reducing inventory time, achieving real-time physical inventory of assets, enhancing productivity by remotely monitoring assets and infrastructure, delivering more timely information for decision making, and improving security by preventing assets from leaving premises. A British company has taken this approach a step further by making beacons, these are attached to cars and emit signals that calibrate the particular tools needed to build each car with the features ordered by the customer. The system improves efficiency by saving the plant workers’ time and effort and thereby helps in streamlining the process of customization of cars. Beacons are increasingly becoming a part of our daily environment. 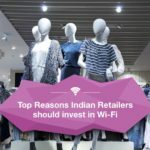 Businesses are adopting beacon-based solutions worldwide as these solutions are cost-effective and highly promising. It would be interesting to see how beacon use-cases evolve in the time to come. The real market revolution occurred when we got the opportunity to easily use mobile advertising! This article will help you to re-evaluate the use of beacons and an advertising platform in building an advertising campaign and attracting a potential client’s attention much more quickly and efficiently.